I have been spending a lot of time barefoot. Between walking sans shoes, on the beach in the sand, on the cement by the pool, having my feet look their best in sandals has been taking a little bit of extra work lately. I'm not just talking slapping on a pretty nail polish color either. My feet have been in rough shape! Here are some products that I have been depending on to get my feet back to their pretty self so they can be back to sandal perfect. 1. CeraVe® Renewing SA Foot Cream - Previously only available at the Podiatrist office, this cream works hard on dry, rough, cracked feet. Made with salicylic acid, ammonium lactate, ceramides, niacinamide and hyaluronic acid, this workhorse helps by exfoliating dry, rough skin and loosens dead skin cells to smooth and soften foot skin. 2. pedix Feet One Minute Pedicure - In just 60 seconds, this essential oil packed foot scrub (it's super thick) soothes stressed feet instantly. It removes dead skin and nourishes. 5. Diamancel Diamond Foot Buffer - I use this a few times a week on the bottom of my heels to buff away the calluses. 6. REN Moroccan Rose Gold Glow Perfect Dry Oil - After my bath or shower each morning, I spray this dry oil over the tops and bottom of my feet to lock in moisture. Omega 6 Linoleic Acid from the Argan Oil work to boost skin's lipid content while protecting and strengthening the upper layers of the skin. 7. Origins Reinventing The Heel - This is a super thick cream that is best left on overnight with a pair of cotton socks. I try to use this once a week.It works with Rose Fruit, Jojoba Oils and super-sloughing Salicylic Acid to gets rid of dry, rough patches. What makes it thick is the Shea Butter (which I love) and I think that or the menthol scent is what keeps me using it. I can't believe that I couldn't come up with ten to fill up my top 10 Tuesday! 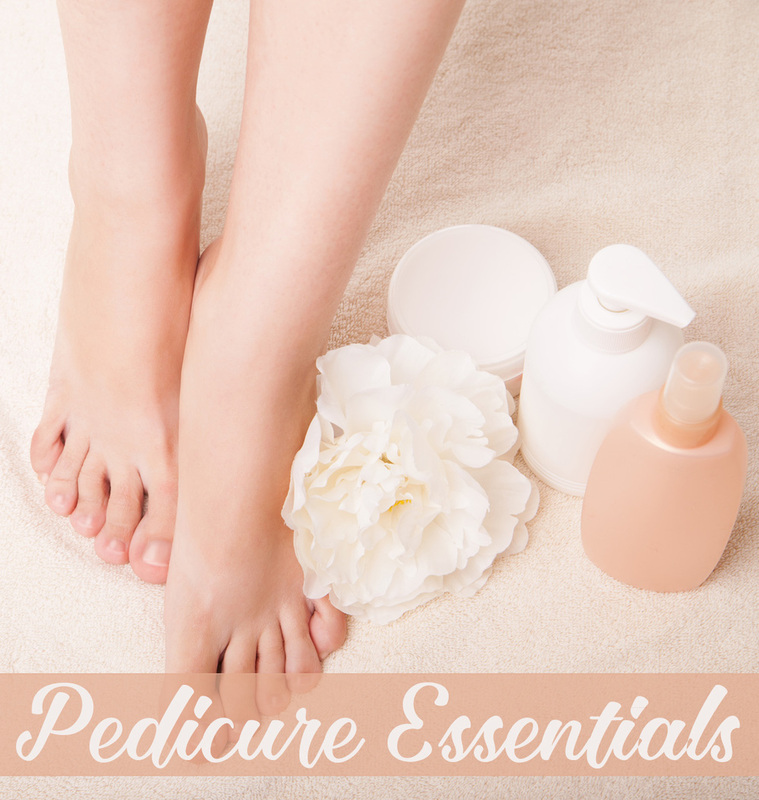 Do you have any pedicure essentials that you depend on to round out my list?